Retro hippie chic becomes sophistication with this Bohemian African-style necklace that goes with everything! 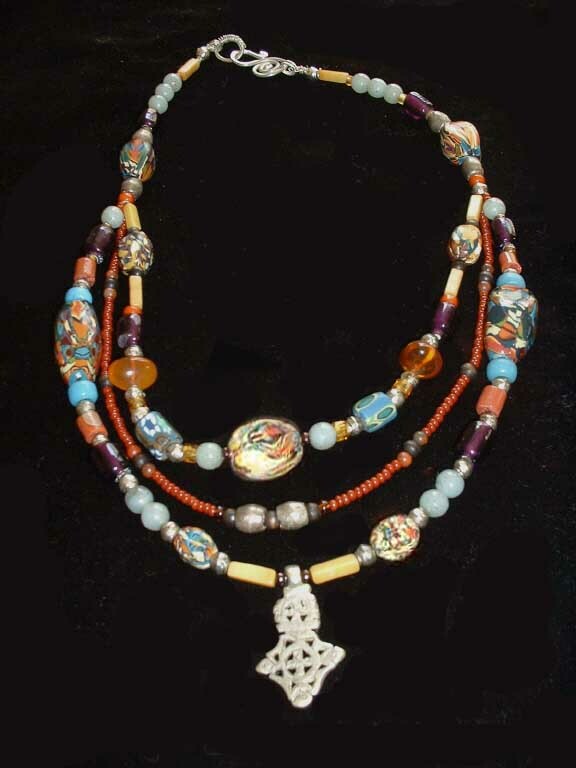 Uniquely patterned polymer beads are the cornerstone of multi-strand necklace, featuring Ethiopian silver cross as a design element. Beads include amber, carnelian, antique glass, African glass, African silver, and yellow jade. Hand-made sterling clasp.